Robert Harley – BEST SOUND (highest value) at THE Show Newport goes to Audience! Audience’s new ClairAudient 1+1 loudspeaker. This tiny cube, priced at $1800 per pair, combined the transparency of a one-way crossover less design with the dynamics and extension at the frequency extremes you’d expect from a larger conventional system. 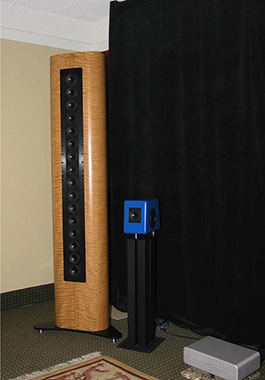 Posted in 1+1, 1+1 Reviews, Archived Loudspeaker Reviews, Loudspeaker Reviews, Loudspeakers, Reviews, THE Show Newport 2012, Tradeshows.